Trasformate il vostro NAS nel definitivo hub multimediale! L'uscita HDMI N4910U-S/R vi consente di collegare il NAS direttamente al televisore per la gestione del dispositivo. 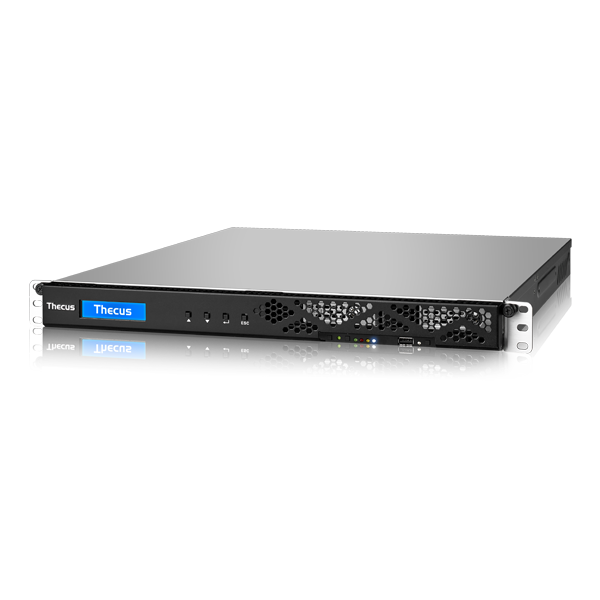 Thecus Technology Corp. today announced their latest 4-bay N4910U NAS series to the market. 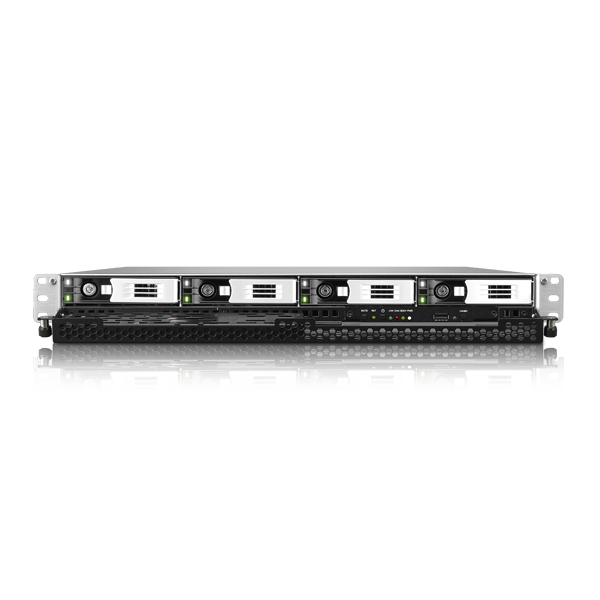 These versatile and compact 1U Rackmount units have been designed to deliver growing small and medium-sized businesses uncompromising resilience and high multi-thread performance in their storage. 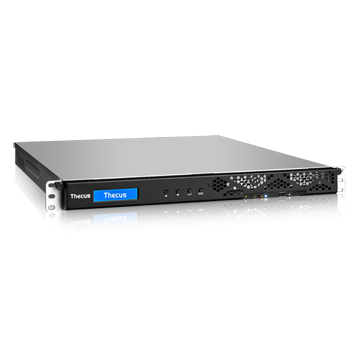 “Today, small and large businesses alike require more robust and highly dependable storage that can support high workloads and heavy user-access. 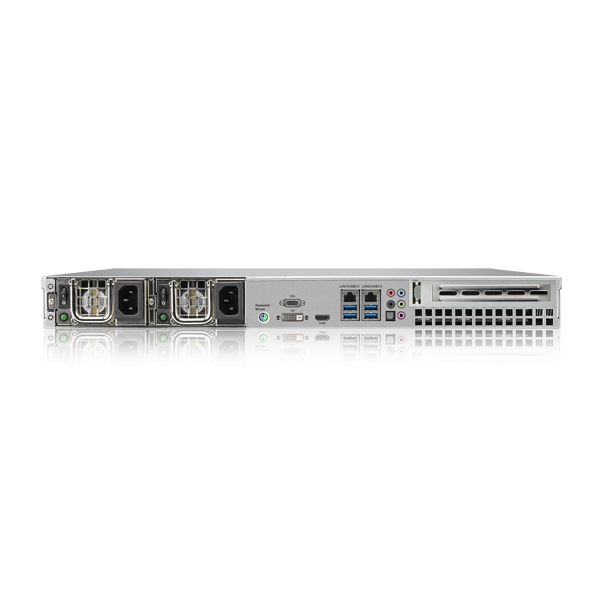 The new N4910U series delivers powerful performance and stalwart reliability while retaining a highly competitive value proposition.” says Florence Shih, General Manager at Thecus Technology Corp. 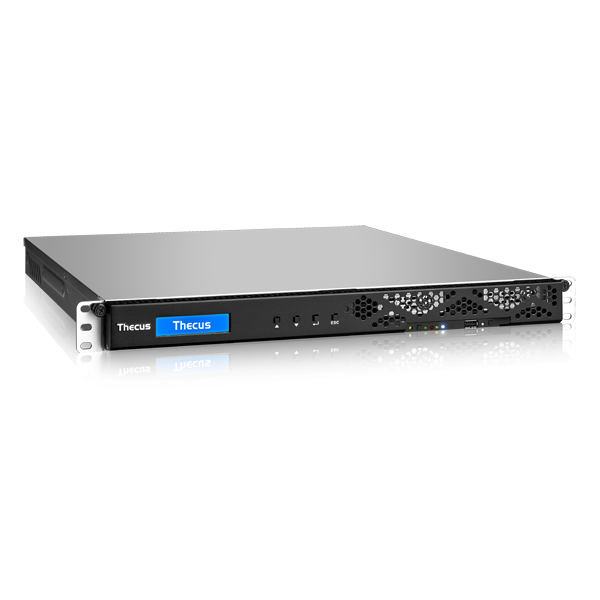 The N4910U series are powered by the Intel® Skylake Core-i3 6100 3.7GHz Dual Core CPU, 4GB of resilient DDR4 ECC RAM, upgradable to 64GB and are compatible with the latest high capacity SATA drives on the market. They especially cater for heavy multi-threading applications. The N4910U series include two versions of this model. The N4910U-S has a single standard built in power supply unit, alternatively the N4910U-R offers a redundant power supply. 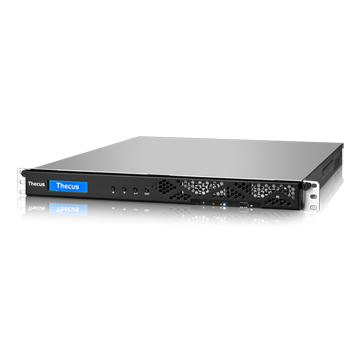 The N4910U series offers complete data backup and protection capabilities: Thin provisioning, replication for disaster recovery, snapshot technology (Btrfs only), Data Guard for disaster recovery (for real-time remote or local backup) as well as backup to cloud services including DropBox, ElephantDrive, and Amazon S3. 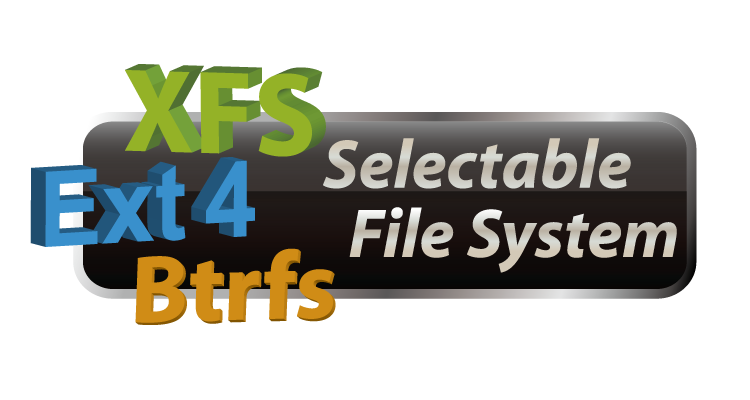 It comes bundled with Acronis True Image for uncompromising data security. Running the latest ThecusOS 7.0, the N4910U series offers a large suite of capabilities and supports a vast amount of 3rd party solution apps as well as complete Scale Out functionality. With Scale Out, businesses can avoid costly revamps of their data centers by flexibly adding additional NAS devices to expand storage capacity. The N4910U Series offers robust, rapid and reliable SMB/Enterprise storage solutions which further deliver on Thecus' ethos of ‘empowering professionals'.